The chilling lines set out above have now attained iconic status. Taken from the Hollywood blockbuster, “Terminator” starring an incredibly evil Arnold Schwarzenegger, the movie lays down the setting for a time when mankind is taken over by, made subservient to before being completely dominated by the forces of Artificial Intelligence (“AI”). At time of this writing, while we are not yet the helpless lab rats of and for Skynet, we are close to reaching an inflection point in our employ of and interaction with AI. From the notion of driverless cars to robotic surgeries, the cross winds of AI are buffeting the world of Science and Technology. What causes algorithms to behave in unpredictable, biased, and potentially harmful ways? How do we as individuals who use algorithms in our personal or professional lives and as a society, shape the narrative of how algorithms impact us? Beginning with the astonishing example of two contradictory and divergent outcomes originating from two identical endeavours by the same Company, Mr. Hosanagar sets the platform for an informed discussion. In 2014, Microsoft launched XioIce, a chatbot in China. The result was a phenomenal success with users raving endlessly over their fabulous interactions with XioIce. Bolstered by this result, Microsoft launched Tay, an artificial intelligence chatter bot via Twitter on March 23, 2016; it caused subsequent controversy when the bot began to post inflammatory and offensive tweets through its Twitter account, forcing Microsoft to shut down the service only 16 hours after its launch. As Mr. Hosanagar takes the trouble to educate to his readers, Google’s self-driving car is based on algorithms that in turn are based on rules not programmed by humans directly but instead “trained on a database of videos of humans driving” that allow it to arrive at “its own driving policy using machine learning.” A self-driving car that learns like a teenager in a driver’s education class may not inspire confidence, but, as Hosanagar observes, the algorithm has driven millions of miles in training, something almost no human has ever done. There lies before us, if we choose, continual progress in happiness, knowledge, and wisdom. Shall we, instead, choose death, because we cannot forget our quarrels? We appeal as human beings to human beings: Remember your humanity, and forget the rest. If you can do so, the way opens to a new Paradise; if you cannot, there lies before you the risk of universal death. While Mr. Hosanagar candidly acknowledges that abandoning AI would be akin to driving ourselves back to the Stone Age, there is no dispute that great care and caution ought to be exercised before embracing AI wholesale. 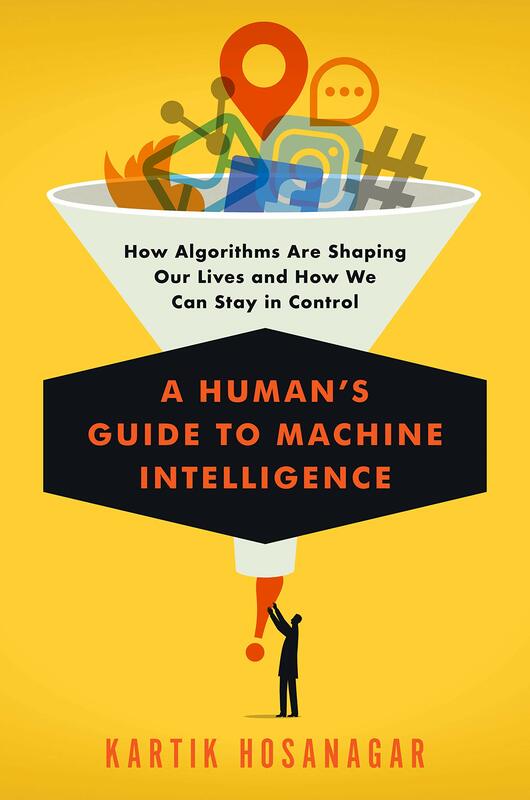 And towards this endeavor, “A Human’s Guide to Machine Intelligence” is a thought provoking and hands-on user’s guide to this first seemingly esoteric sphere of dynamic and fluid technology. On the 11th of March, 2011, an earthquake of a magnitude hitherto unseen, ravaged the prefecture of Fukushima. The dust had barely settled upon the havoc wreaked by the mega earthquake, before monster tsunami waves as tall as 45 feet whipsawed the region decimating everything that was in its wake. Unfortunately standing in the wake of Mother Nature’s wrath were two powerful Nuclear Power Plants, Fukushima Daiichi and Fukushima Daiini. The Tsunami knocked out Fukushima Daiichi’s electrical power, along with the safety systems of all the reactors. Buildings exploded releasing it their wake unknown levels of radiation across the countryside. Mr. Casto, in particular dwells at length about the leadership abilities of three important leaders. Ikuo Izawa at Daiichi was a control room shift supervisor for Units 1 and 2. Employed by Tokyo Electric Power Company (“TEPCO”), Izawa showed tremendous calm and ingenuity in the aftermath of the disaster. Takeyuki Inagaki, a maintenance manager was responsible for the recovery strategies from the Emergency Response Centre (“ERC”). Masuo Yoshida, site superintendent at Daiichi was the third important personality who punched beyond his weight. Mr. Casto also highlights the perils of a lack of leadership during unpredictable chaos. For example, upon hearing the magnitude of the disaster the Prime Minister of Japan at the time reached out to the ERC, only to, “commence shouting, blaming, and criticizing everyone involved.” Mr. Casto adds, “they (ERC) later told me that this was not the kind of leadership they needed at this point; it was not real leadership at all.” On the other hand, the workers at the site itself showed exemplary courage and extraordinary resilience. “At the time of the earthquake, there were around 2,000 workers at the plant, including about 400 technical workers. Some 250 of these were official members of the emergency response team, and they gathered at the ERC. The remaining 150 evacuated to a baseball field nearby. Virtually no one left the site within the first hundred hours…. The first technique that Masuda used to try to comfort the workers was to be transparent about the conditions. He actually used a whiteboard to log each aftershock and the height of the tsunami that followed, so that he could show the workers that the aftershocks were somewhat subsiding and the conditions were not getting worse. So that was one of the techniques he used in the transparency area. So what you learn from that, and what we talk about in the article, is that information is an antidote to fear. So the more information you can give workers, the more comfortable they’ll feel and be ready to face whatever challenge that comes. The need for quicksilver thinking and employ of ingenuity may at times necessitate a direct disobedience of orders. The move by (TEPCO), to use seawater doped with neutron-absorbing boron in the reactors’ pressure vessels because the normal and auxiliary cooling systems, which circulate purified water to keep the fuel rods from melting down, failed, was in direct contravention to an order issued by the Prime Minister himself. Mr. Casto’s book, while not dealing with the nuts and bolts of the disaster itself chooses to focus on the consequences of extreme-crisis leadership and focused co-operation. While thousands of unsuspecting people lost their lives following the earthquake and tsunami, not a single death resulted from radiation exposure itself during the accident. The cancer rates are also expected to be kept in check and not rise appreciably. Japan’s Nuclear Safety Institute (“JANSI”) has evolved into an organization equal in competence to NNSA in the United States. “Station Blackout” is a stirring testimony to the courage, capability and composure of humanity in the face of unimaginable adversity. Personally, writing for me has been an exercise in excelsis. While the art of writing itself infuses me with a joy that is unadulterated, imbibes in me a passion that is pure and inculcates a habit that is lasting, I realised that this very act of putting pen to paper was incomplete without one very vital tenet – feedback. Any feedback loop takes the concerned system output into consideration, thereby enabling the system to adjust its performance to meet a desired output response. Blogging is no different from any other system that is amenable for constructive criticism and feedback. Blogging establishes an unbiased and impartial ‘connect’ with fellow bloggers of various hues and cry thereby enabling a blogger to assimilate a stunning smorgasboard of ideas, suggestions and ingenuity. This thirst for continuous improvement has spurred me into taking up the Blogchatter’s A2Z Challenge for the first time. With a paradoxical feeling of both confidence and caution, I signed up for this daunting challenge. This is an ingenious blogging challenge, nay, pilgrimage, where bloggers are required to blog a post every day in the month of April (except Sundays). Every such post corresponds to a letter of the alphabet- thereby making it one post for every alphabet. The blogger is provided the luxury, or the intimidation (whichever way one deems to look at it) of identifying a theme of hi or her choice. So without further ado, let me proceed to reveal my chosen theme. Please click on this link to explore other bloggers, and follow them as well, in the event, their preferred themes appeal to you. Looking forward to your support, succor and most importantly, invaluable feedback! Till such time we meet again on the 1st of April! A Ferris Wheel. What could a slowly, irritatingly, lugubriously rotating hub with sitting capsules – containing within their confines a horde of screaming, shrieking, howling bunch of humanity – at the end of its multiple spokes mean other than chaos and confusion? Venky wanted to fling himself out the cauldron of hysterical laughter, harrowing colours and hounding lights. He could not even wrap his head around why he had brought a ticket for himself in the first place. The last time he was in one of these it was during Utopian times. It was when Ash was still with him.